Newark, NJ – Essex County Executive Joseph N. DiVincenzo, Jr. outlined the schedule of events for the 43rd annual Essex County Cherry Blossom Festival on Thursday, April 4th. The festival, which will be held from Saturday, April 6th to Sunday, April 14th, highlights the blooming season of the 5,000 Cherry Blossom trees. The Executive also welcomed Horizon Blue Cross Blue Shield of NJ as the Premiere Sponsor. “We have an exciting line-up of activities where visitors can admire the beauty of the trees, learn about the history of our Parks System and engage in Japanese cultural demonstrations. The blossoming trees create a pink and white canopy that is perfect for picnics, photographs and simple enjoyment,” the Executive said. “We also want to welcome Horizon Blue Cross Blue Shield of NJ as our premiere sponsor. The support we receive from our corporate neighbors is instrumental in helping us stage activities that highlight the natural beauty of our parks and engage the community,” he added. 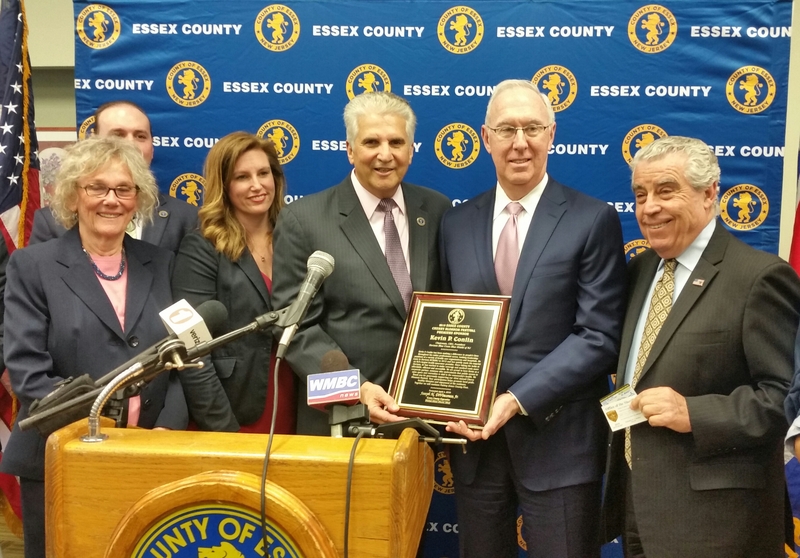 “We are honored to join with Essex County to present this year’s Cherry Blossom Festival. A mission of Frederick Law Olmsted was creating a public place that could provide people with physical and mental exercise. Horizon believes in those principles and that’s exactly what this park and this festival mean,” said Kevin P. Conlin, CEO, Chairman and President of Horizon BCBSNJ. “So many people come to the park at this time of year. This is an opportunity to enjoy the outdoors. We encourage people to come out and see for themselves how beautiful and safe the park is,” Sheriff Armando Fontoura said. “Nothing compares to the beauty of the Cherry Blossom Trees and Branch Brook Park at this time of year,” Freeholder Patricia Sebold said. “What is special about the Cherry Blossoms are the many varieties that can be found in Branch Brook,” Freeholder Len Luciano said. “This festival brings in hundreds of thousands of visitors, provides a boost to the local economy and gives residents the opportunity to enjoy the beauty of the park,” Newark North Ward Councilman Anibal Ramos said. “We are grateful to the County Executive’s leadership and dedication to the park. We are proud that Belleville is known as the Cherry Blossom Capitol of the World because of it,” Belleville Mayor Michael Melham said. “The Cherry Blossoms are an incredible gift to the people of New Jersey. It’s a great opportunity to get outside and welcome the arrival of spring,” Deputy Chief of Staff William Payne said. History, driving directions, a complete list of activities and a web cam where the public can monitor the cherry trees for the peak of the bloom season can be accessed by visiting HYPERLINK “http://www.essexcountynj.org/branch-brook-park” www.essexcountynj.org/branch-brook-park. Many of the original Cherry Trees planted in Branch Brook Park were donated to the Essex County Park System by the Bamberger and Mrs. Felix Fuld family in 1927. At its height, there were about 2,500 Cherry Trees in Branch Brook Park. According to the Branch Brook Park Alliance, the original Cherry Trees began to die because of old age and, in 2006, it was determined the original collection had diminished significantly. County Executive DiVincenzo kicked off an aggressive planting program to strengthen and expand the number of cherry trees. To date, there are more than 5,000 cherry blossoms throughout Branch Brook Park. The Essex County Park System was created in 1895 and is the first county park system established in the United States. The Park System consists of more than 6,000 acres and has 23 parks, five reservations, an environmental center, a zoo, Treetop Adventure Course, ice skating rink, roller skating rink, three public golf courses, golf driving range, two miniature golf courses, four off-leash dog facilities, a castle and the Presby Memorial Iris Gardens. Branch Brook Park was created in 1895 and is the first park in Essex County’s system. At 359.72 acres, it is the largest county park in Essex.